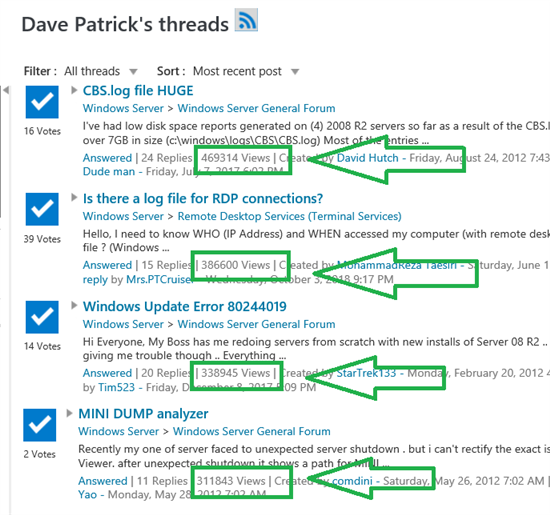 Wiki > TechNet Articles > MSDN/TechNet forums: How can I sort My Threads on the number of Views? 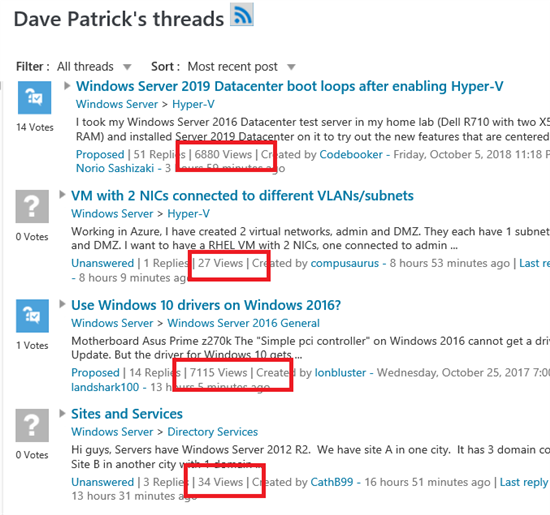 MSDN/TechNet forums: How can I sort My Threads on the number of Views? This article is part of the Wiki series: MSDN/TechNet Forums. 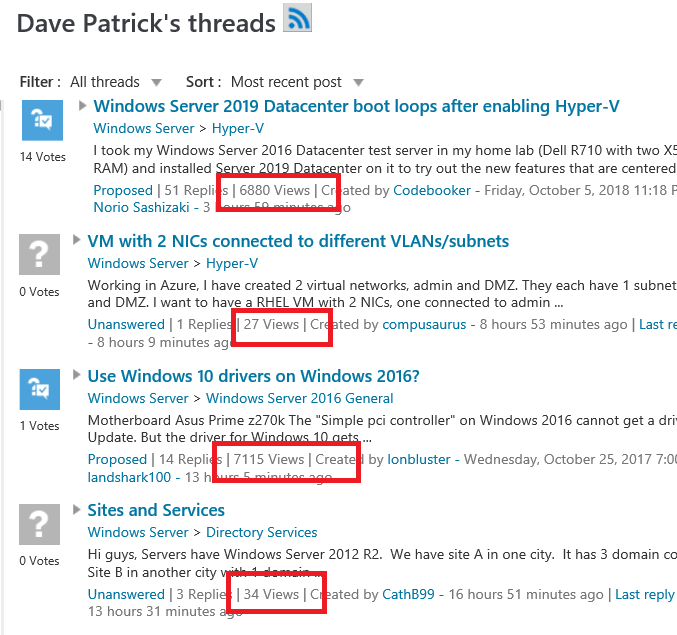 Have you ever wondered how many views you got on threads you answered or were a part of?